Many people ask the question, “what is the difference between highline and drawerline units?” Well, the answer is pretty straightforward and shown below. 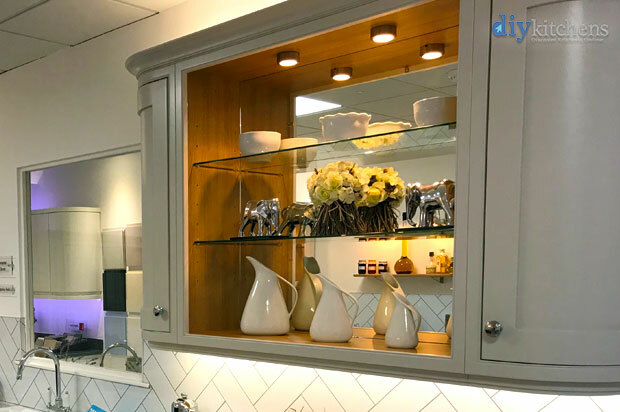 A highline kitchen base unit basically means that the door of the unit starts at the bottom of the unit and finishes at the top, giving you a highline, which sit just under your worktop. These highline units give you a great deal of space but there is no space for pull out drawers. Please see the highline kitchen base units below to give you an idea of what they look like. Theses units come in 2 styles, single highline & double highline base units. You probably guessed it after reading the bit above. Drawerline units have a drawer at the top of the unit, which in turn gives you a smaller unit below and a smaller door. 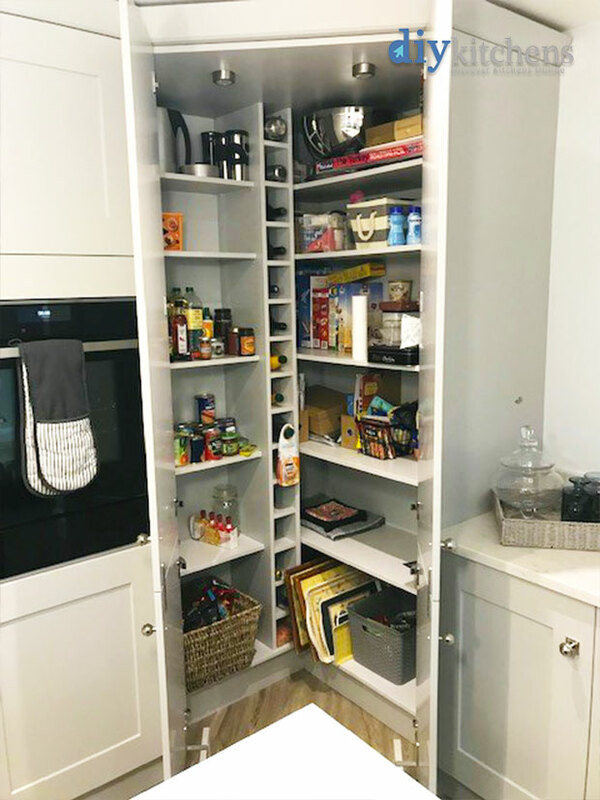 Although you get a little less unit space, you do get the convenience of a drawer where you can neatly organise your cooking utensils or save 1 drawer to chuck in all those free take-away leaflets that most people would be lost without. See the drawerline kitchen base units below to give you some idea of what they look like. As well as having units with just the one pull out drawer, we also have units that are nothing but pull out drawers! Very handy if you want some drawers in your kitchen but you want to keep the highline effect everywhere else in your kitchen. See the images below for some examples of these multi-drawer kitchen base units. 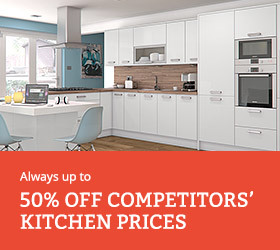 If you are looking for drawers, which are a bit more hefty and need to hold much bigger items then you can either get a mixture of short and tall drawers or you can go for a complete pan drawer unit instead. 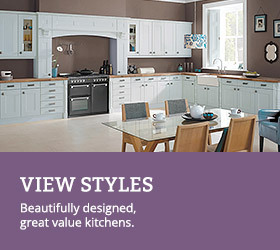 See the images below to see how these would look in your kitchen. There you have it, a short introduction into the types of highline and drawerline units that are available. If you want to see more of these units then click the links below. 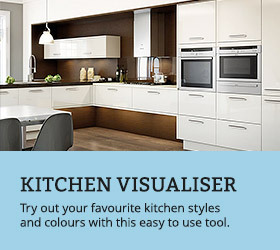 Take a look at our kitchen unit specification video below, so that you can see exactly what you will be buying from us. All our units come fully built with all doors, drawers and hinges already attached. 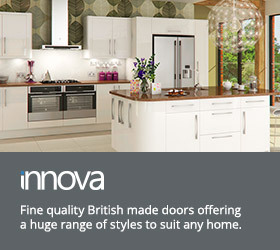 We do all of the assembly for you to make your kitchen installation much easier! How does your pullout ironing board work? You mentioned above that the back panel of the tall units are slotted into a grove. Is this the case for the tall fridge/freezer units? The reason i am asking is because i read in another post that to install these F/F units, the back panel needs to be removed. Can you explain this in more detail please? Hi Rui, tall fridge/freezer units are a little different and have 3 small transportation panels that need to be removed, once your unit is in place. This article talks about this and may be useful to you. Are the backs of your base units nailed? Hi, the base unit backs are stapled in but the backs are not stapled in on the wall units but slotted into a groove instead. Hi, could I have all my base units draw line please. You can have all drawerline units. If you need to make an adjustment to your order then you’ll need to contact the sales team on 01977 608 418. Please note that you only have 48 hours from placing the order to make amendments, as your kitchen is then put into a production schedule.